Can’t Delete Photos from iPhone? How to Fix? Quite a bunch of users repeatedly face this problem. Those photos that don’t have the trash bin on iPhone or iPad may be synced from iTunes. This is pretty simple if you understand the idea of sync. It’s not a problem and you can find the fixes here. To make sense of this problem, you initially need to understand where these photographs are from. If these photographs are not from your iPhone that is the reason, they can't be erased straightforwardly from iPhone. Therefore, by following the steps below you can get through this. Step 1: Connect your iPhone to PC and launch the latest version of iTunes. Tap your device symbol and pick Photos from Setting in the left sidebar. Step 2: Check Sync Photos on the main screen. 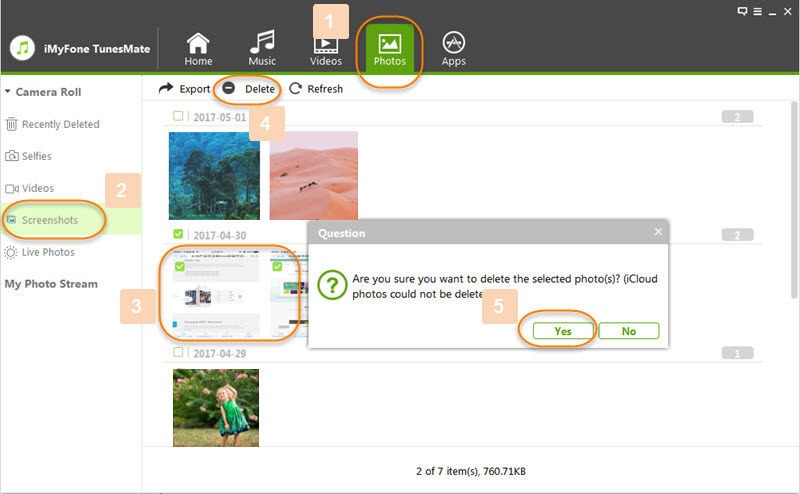 When selecting photo folder to sync, unmark the folders you want to delete photos, or if you want to remove individual photographs from the folder unmark these. Step 3: After the selection process click the Apply button and once the sync process completes you will find that the unwanted photos on your iPhone is gone. This process may seem dull and time-consuming to many. Hence, there is a requisite, to post for a more reliable, and easy to use managing tool as a one-stop solution to all iPhone related problems. iMyFone TunesMate is a professional iOS device manager like iTunes that makes it simple and instinctive to transfer files between your iPhone and PC and manage iPhone files on computer. With it, you can easily delete those photos that cannot be deleted from iPhone. 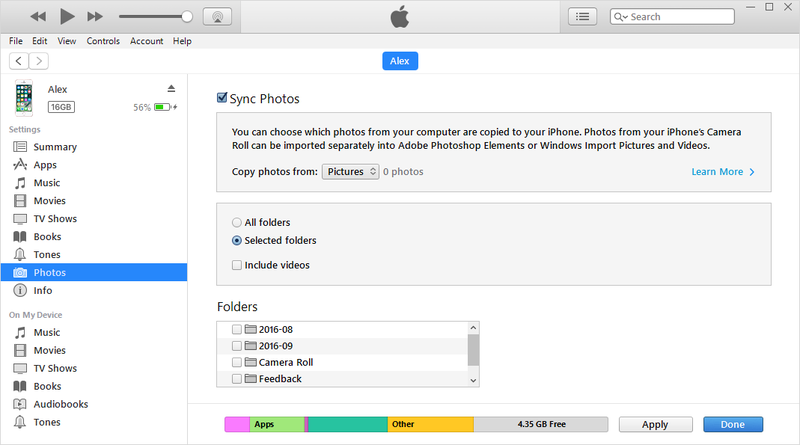 Delete Photos for Free: You can easily delete photos in Camera roll or My Photo Stream in bulk. Back up Photos & Albums: Transfer iPhone photos or albums to computer, external hard drive, or other devices. How to Fix “Can’t Delete iPhone Photos”? Step 1: Launch iMyFone TunesMate on your computer and connect your iPhone/iPad with a USB cable. Step 2: Go to “Photos” tab. Now, check unwanted photos. And click “Delete” option at the top bar. Click “Yes” on the pop-up confirmation window. Freely transfer iPhone media files to iTunes , or sync iTunes library to iPhone without any data loss. Simply add media to iPhone from computer/iTunes/external hard drive/CDs by easy drag-and-drop. Edit music tags at wish, including artists, albums, ratings, playlists, etc. Share purchased or non-purchased media with friends and access friend’s iTunes media. One iPhone can be synced to different iTunes library meanwhile without erasing. Conveniently manage your apps instantly with just a click or a tap.